Carbon Poker is aiming to grab a major slice of the Easter online poker traffic with the launch of their first Turbo Online Poker Series which starts next week. The Turbo Online Poker Series – which will run from Thursday March 28 thru Sunday March 31 – consists of fourteen turbo poker tournaments with over $100,000 guaranteed in prize money and buy-ins from just $1.10. A comprehensive satellite schedule is already underway and a leaderboard competition worth a further $2,000 will run alongside the Turbo Online Poker Series to reward the most consistent players. The Main Event in the Turbo Online Poker Series at Carbon Poker takes place on Easter Sunday at 18.00ET (1.00pm GMT) and guarantees a prize pool of $15,000 for a buy-in of just $109.00 or 10,900 Carbon Poker VIP Points. Players will start with 5,000 chips for levels lasting just five minutes, with last registration available until the first break and a super-satellite hosted on Carbon Poker next Thursday with buy-ins of just $5.50. There is a good variety of games included in the Turbo Online Poker Series schedule. As you would expect, the majority of tournaments are freezeout NL Hold´em events, but there are also some Re-Buy/Add-On tournaments scheduled and the series concludes with a PL Omaha Event on Easter Sunday evening. Two things all of the tournaments have in common are that the winner will receive a Turbo OPS accolade and they will all be played at turbo speed! Players on Carbon Poker with limited bankrolls have the opportunity to qualify for the major tournaments in the Turbo Online Poker Series schedule by participating in the Turbo OPS satellites. 6-Max and Full Ring SnGs are available in the Turbo OPS lobby along with an extensive selection of satellite tournaments which will enable players to win seats at all the feature events in the series. 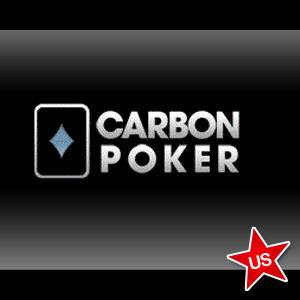 Join Carbon Poker today by clicking our link below, or take a look at our 2019 Carbon Poker review here for more information.